Has a new car been on your Santa wish-list for almost all of 2018? 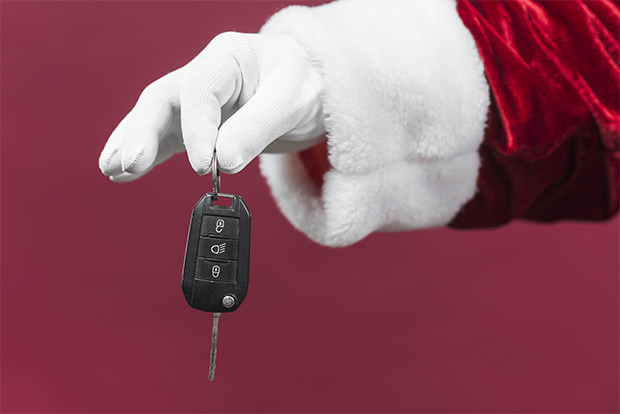 Blink Finance aren’t Santa but might as well be, because we can help you get a new car before Christmas day. We have a full team of brokers on board in the lead up to Christmas. Our brokers work with over 30 bank and non-bank lenders to find out clients the best finance deal possible. With our streamlined application process, having a car before Christmas Day is as easy as 1, 2 … 3. Apply now and within 10 minutes one of our highly experienced brokers will call you back. They will run through a few questions with you, learn about your purchase goals and arrange pre-approval over the phone. No deposit? No worries. Step 2: With your pre-approval behind you, begin test driving. With your pre-approval behind you, the fun can begin. Start searching online or visit your local dealership to start test driving. Whilst you’re doing this, your broker will work on your behalf to find you the best approval possible. They will be in touch if they need any additional details or paperwork. As soon as your broker secures you finance approval, they will be in touch to finalise everything before Christmas. Step 3: Good news! You’re approved and can collect your car shortly. Once approved, settlement usually occurs within 24 – 48 hours after you’ve found the perfect new car for Christmas. Unsure whether or not you’re eligible? Blink Finance help thousands of clients each year. Whether you’re after a car for personal use, a fleet of trucks for your business or don’t have a deposit yet, Blink Finance will work on your behalf to get you approved. Having a new car before Christmas can be a reality with the help of Blink Finance.